Bharata Ratna Dr.APJ Abdul Kalam. 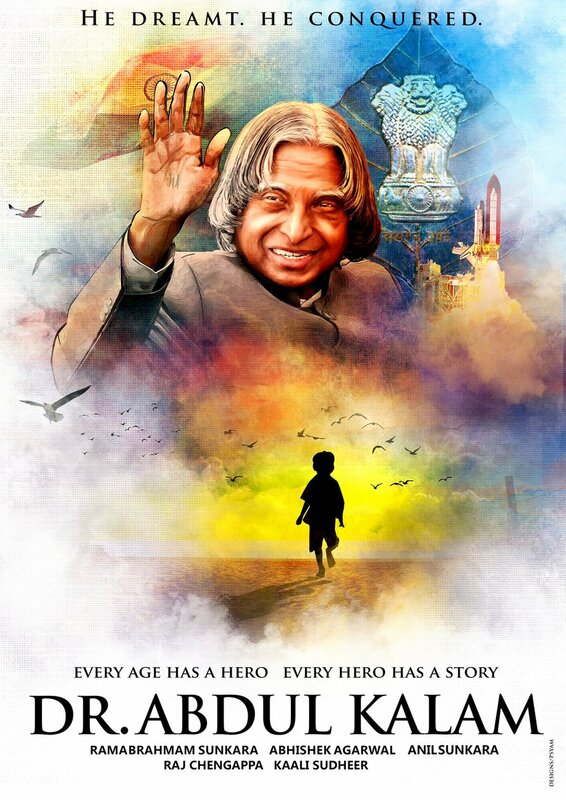 Today (27th July), to commemorate the second death anniversary of the man who touched a billion lives and motivated many to chase his dreams,a poster of the movie, which is titled 'Dr.Abdul Kalam' has been launched at an event in Rameshwaram, the place where the great man was born and grew up. ISRO Chairman Shri A.S.Kiran Kumar launched the poster and wished the team all the very best. Kalam's elder brother Shri Jainulabiddin Marakayar, DGP Shakil Akthar IPS, Managing trustee of Dr APJ Abdul Kalam International Foundation, Smt. APJM Nazema Marakayar, actor Nassar were among others who attended the event along with Anil Sunkara and Abhishek Agarwal, the producers of the movie.Prime Minister Shri Narendra Modi Inagurated the Kalam Memorial and Wished Abdul Kalam Movie Success. 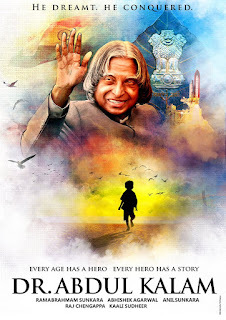 Dr.Abdul Kalam movie will be made in English.The first half of the film chronicles the early life of Kalam and the second half will be thrilling with episodes of how Dr.Kalam outsmarted the CIA, which tried to find out India's nuclear secrets. The pre-production work of the film is underway.